My 5-year-old has joined a Daisy Girl Scout troop and tonight is her Daisy Investiture Ceremony. Ha! I actually had to look up what “investiture” meant on Wikipedia – “general term for the formal installation of an incumbent as the insignia can include the formal dress and adornment”. 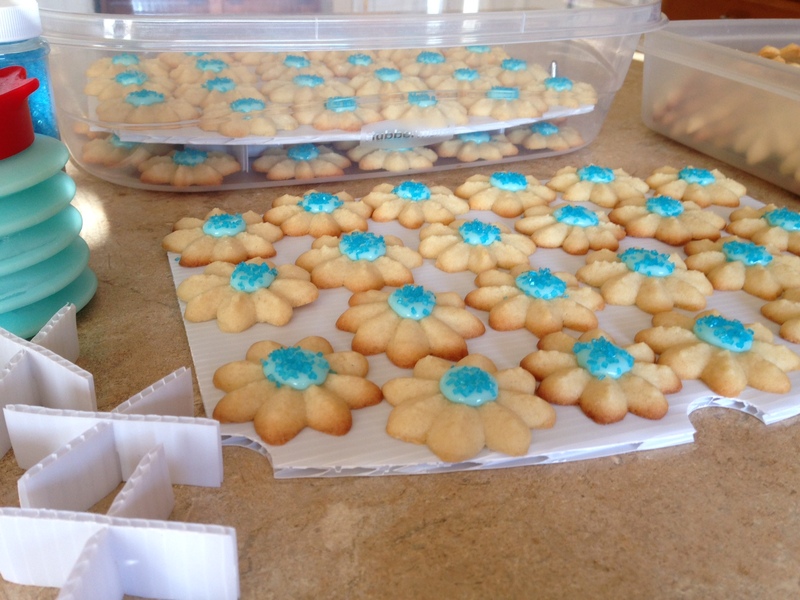 Parents were invited and asked to bring a treat…so I thought it would be cute to make some sort of Daisy shaped cookie. 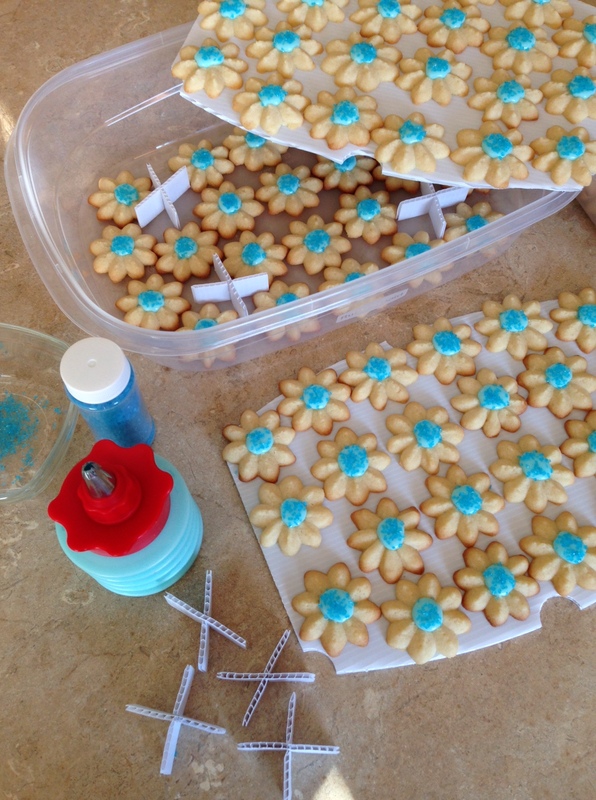 Except out of all of the cookie cutters I own, I do not have a flower shaped cookie cutter. 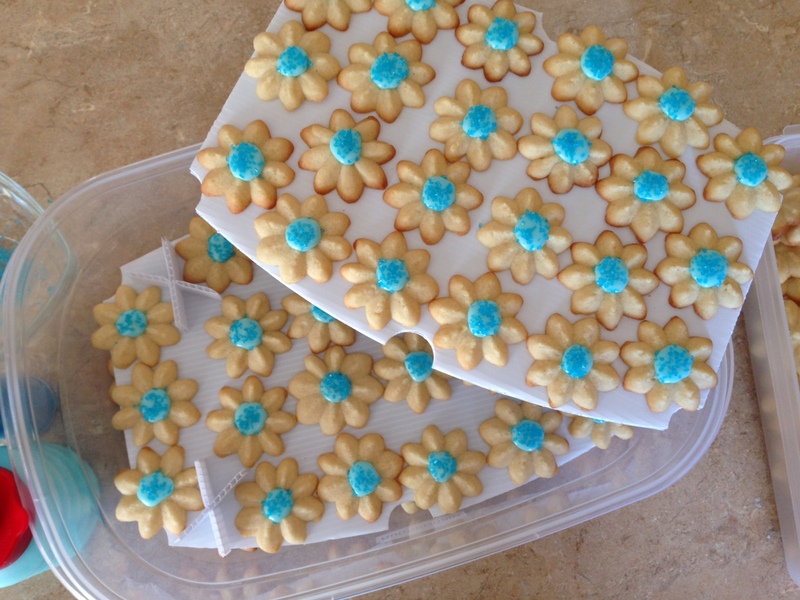 Instead I used a scalloped round cookie cutter and piped white icing for the daisy petals. I made more icing with blue food coloring to pipe the center of the flower. The blue center of the daisy represents the first patch the daisy scouts earn. 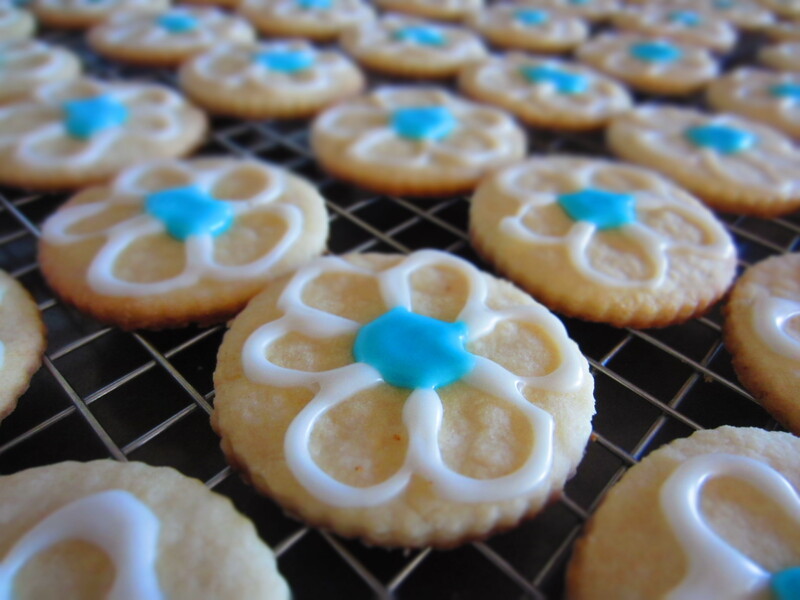 Imagine all of the variations you could do to make flower shaped cookies?